Another RTD Hyundai-Rotem EMU heading towards DIA at speed. 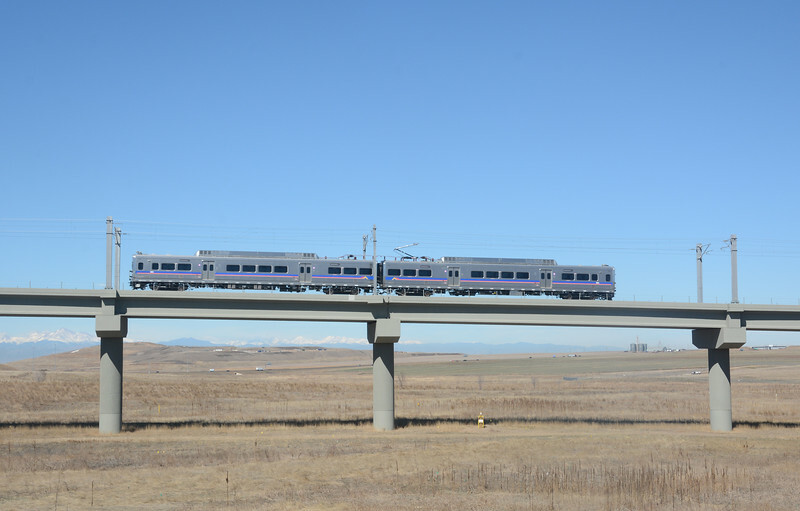 The airport line is one of three new 25KV AC commuter rail lines being built for Denver. The Front Range peaks are still snow covered.